Over the last few months, I have been discussing the pros and cons of making things by hand, and purchasing handmade items from local artists and businesses. There is a joy and pride to owning a one of a kind piece of art, knowing no one else has the exact same thing as you. The pride of ownership is not the same when you purchase something mass-produced from a department store. However, as a small business owner, your time is money. Small business owners don’t have the luxury of large equipment and many people on staff to create for them. In most instances, if they are truly creating one of a kind art, everything is made with their own two hands with no assistance from others. If one is truly going to make a living at their craft, they are either going to have to create pieces with expensive price tags, or learn how to use time effectively. The former is a matter of product choice. If you are a woodworker, learn to make high quality large-scale furniture, such as cabinetry or dining room table and chairs. A jewelry designer can choose finer materials such as gold and high clarity gemstones. Such items may take many hours, but the customer will be willing to pay the price tag. There is a threshold of how much more a customer will pay for an item that has been handmade. We need to determine that threshold and create items that will earn us a livable wage. Forty hours of work on an item only worth $45 is not good business sense. If your material cost is $5, you have paid yourself $1 an hour for your skills. People get paid more to flip burgers at your local fast food joint. Your talent and skills are worth more than a solitary dollar. There are ways of saving time and effort, and still making one-of-a-kind pieces at a reasonable cost to the consumer. 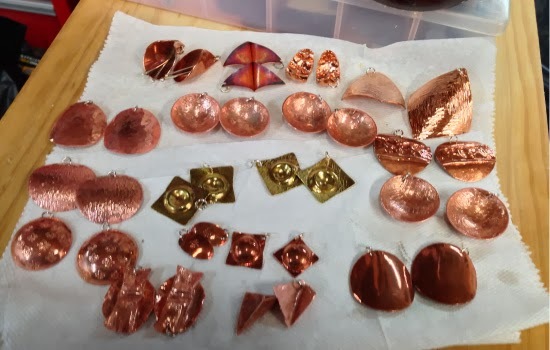 At Prunella’s Workshop, for example, we have taken techniques which we have found to be successful, and we are applying those techniques in slightly different ways to create different pieces with only slight changes in the way we work. For example, we have a circle cutter, which allows us to cut several uniform discs at once. In the time I can hand cut one wobbly circle, I can cut several perfect circles. Different hammers create textures on the metal. Circles do not need to remain circles. They can be hammered, folded and unfolded with dramatically different results, but no additional extra work on my part. 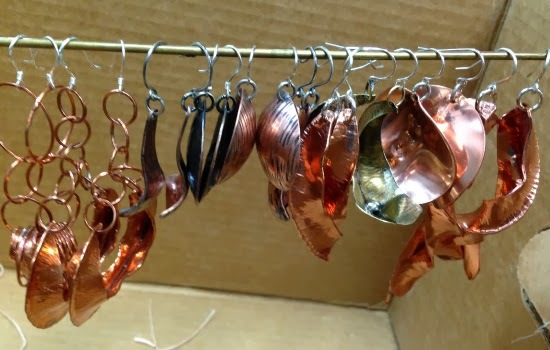 I can anneal several pieces at once instead of one at a time. 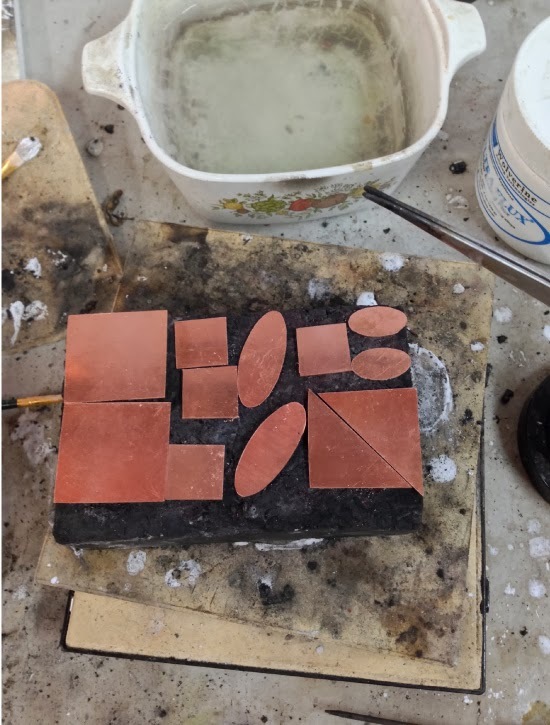 Instead of hand polishing, I can put the pieces in a tumbler, which will produce a similar effect and I can move on to a different project. 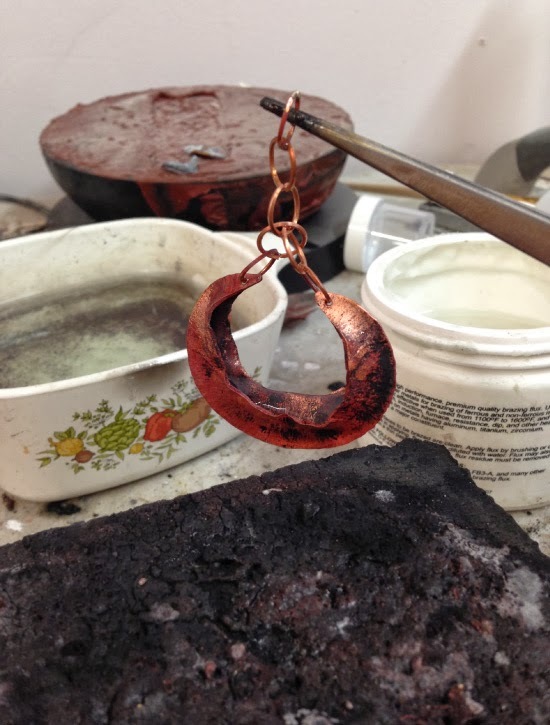 By keeping the process simple, I produce far more pieces in less time, while keeping that handmade uniqueness to my work. Are there ways you can streamline your work process? Is there a place where you may be able to work smarter without cutting corners?